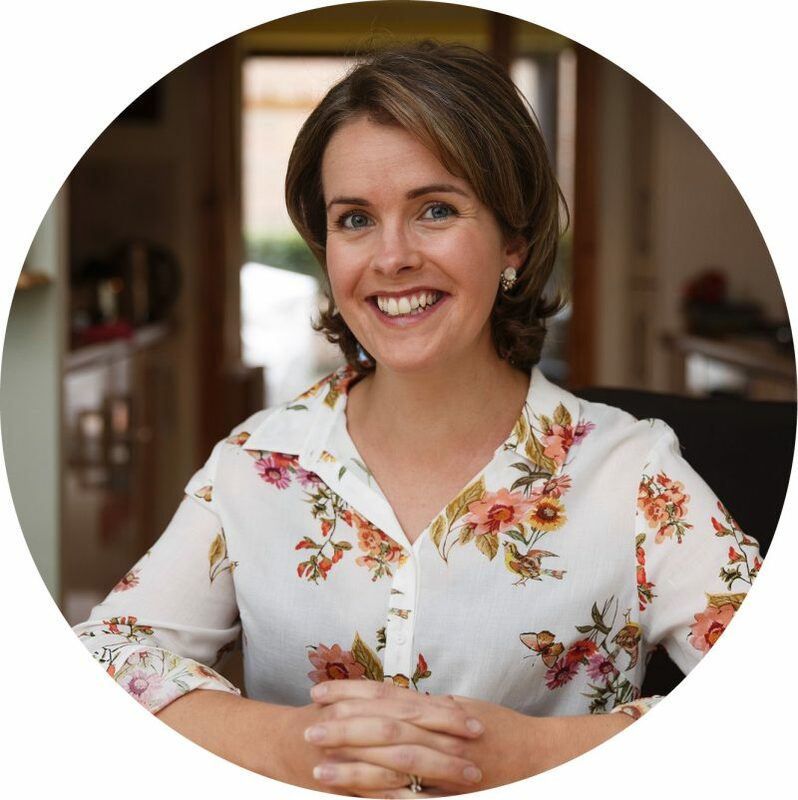 Natasha Whelehan on the The Life Changing Magic of Tidying Up and the results of her recent wardrobe declutter. Since my cancer diagnosis, managing my stress levels is something that has become extremely important to me. After all, stress will kill you, right? 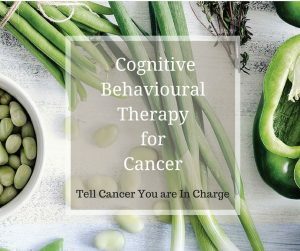 I’ve attended counselling to help with anxiety around my cancer and possible recurrence, I’ve learned mindfulness techniques to help on days I’m feeling particularly anxious or stressed and have tried to focus on the positives in my life. Yet I still feel my blood pressure rise on a daily basis when we are rushing to school, I can’t find my keys, and we’re all tripping over the pile of shoes spilling out of the box in the hallway. You see, I am not a tidy person. And I am forgetful. And if I’m really honest, I don’t particularly like housework. So my house is messy. And disorganised. And this makes me feel stressed! So at the start of the year, I decided I was going to do something about it and declutter. I watched a few episodes of The Life Changing Magic of Tidying Up with Marie Kondo on Netflix and was inspired to sort out the cupboards in my kitchen. I even pulled my clothes out of the wardrobe and sorted through them, discarding what I felt was a reasonable amount. So now it’s March and I still feel disorganised and stressed! Then I get stressed about how many times a day I’ve gotten stressed and frazzled. Then I start worrying about whether my stress levels are affecting my health. It’s a bit of a vicious circle somedays. I’m fully aware of how little my messy house really matters in the overall scheme of things. After all, I had cancer, why am I sweating the small stuff? Ultimately though, the small stuff is what our days are made up of. So maybe it’s time to be proactive and take a real look at what changes I can manage to reduce the impact of all these daily Micro Stress Doses (a term coined by Dr Rangan Chatterjee in his most recent book) that pile on top of each other, pushing me ever closer to my personal stress threshold. I’ve mentioned previously I love a good self-help book, so I decided to actually read the book instead of just watching the show. The Life Changing Magic of Tidying Up by Marie Kondo. The book is a global bestseller. That many people can’t be wrong… right? It’s not a long book, and to be honest I found some of her ideas a bit out there when I was reading it. For example, she encourages us to thank our handbag for its service at the end of the day, and believes that our clothes will feel better and be more energised if they are folded neatly and looked after. I’m not convinced my jeans ‘feel’ any better if they live in a pile on the floor where I tend to drop them, or are folded in the drawer. I think I would feel a lot better though so I decided to apply her principles and sort and declutter my clothing. The idea is simple. In a nutshell you should tidy in categories (clothes, books, sentimental items). Discard first. Then tidy. Everything should have it’s own place and should be replaced in that space when not in use. 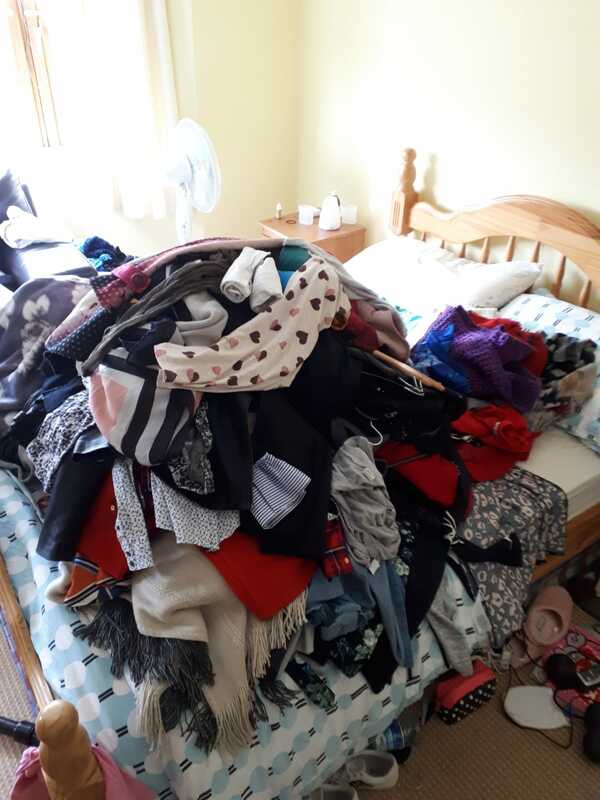 So a few days ago, I did what the KonMari method says and went around my house collecting up every item of clothing I owned and putting them all in a pile on my bed. You see, Marie Kondo believes we should surround ourselves only with items we truly love, that spark joy. She believes by eliminating items which do not truly make us happy we can change our lives, freeing ourselves to do more and enjoy life more. She even cites examples in her book of people who have radically changed their lives after applying her methods. I really like this idea in theory. It sounds lovely to imagine a home and life filled only with things that ‘spark joy’. So I go through my wardrobe, item by item. I thought I had done a good ‘clear out’ in January but this time I am ruthless. A top that I bought on impulse and still has the tags on, goes in the bag. No more vague guilty feeling, and thoughts of ‘I really should wear that soon’ every time I see it in the cupboard. Some dresses that I have had for years and keep thinking ‘I’ll keep it in case something comes up’. A black dress that just doesn’t fit my body properly anymore since my surgery. I even discard the black dress that I have had since college, yes college! I wore it to a college ball when I was 21. I felt fabulous in it then and have kept it out of sentimental value. I don’t go so far as to thank each item for their service and say goodbye as the book suggests. Except for the black dress from my college days, that I do actually thank and say goodbye to. Jeans, shoes, boots, scarves, the clear out continues. The coat I wore the winter I was in treatment is one of the last items to go. There’s nothing wrong with it, but this winter I only wore it once and felt uncomfortable the entire time. For me it will be forever associated with those cold dark mornings when I travelled into St James’s on the train for chemo. I say goodbye to this coat as well. It does not ‘spark joy’ in me anymore, but perhaps it will in someone else. It feels good to put it on the pile destined for the charity shop. I’ll be honest, that is as far as I’ve gotten. I can really see how her method works though and while I’m still not ready to thank my handbag for its service at the end of the day; I am going to move on to the next category, books, in the coming weeks. You see, while I may not have have applied her principles religiously, I do feel better after the clear out. 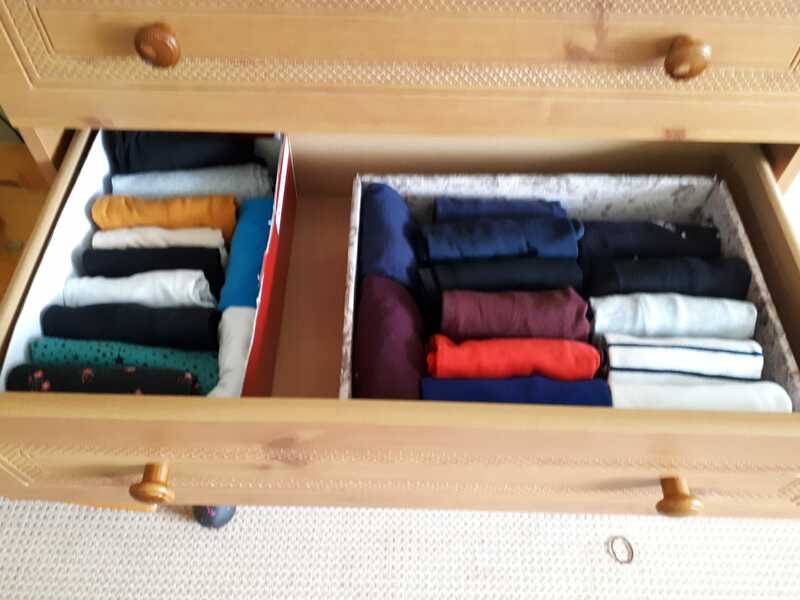 In a world where we are surrounded by ‘stuff’, I found getting rid of clothes that have been causing me guilt because they have never been worn, clothes that I was keeping ‘just in case’ something came up, and clothes that actually made me feel a little sad has made me feel lighter. 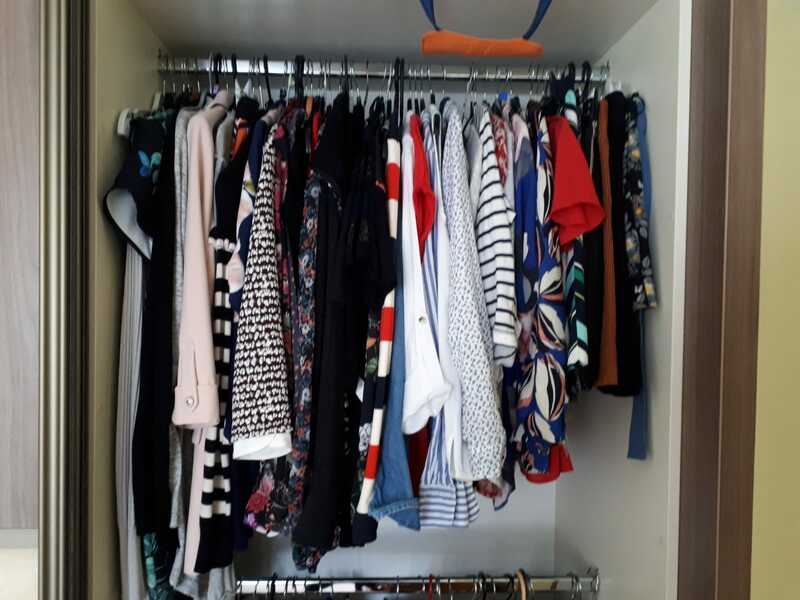 Is it that my wardrobe is now tidier or the process of physically handling each item and really considering it before deciding if it stays or goes? I’m not sure to be honest. Maybe a little of both. 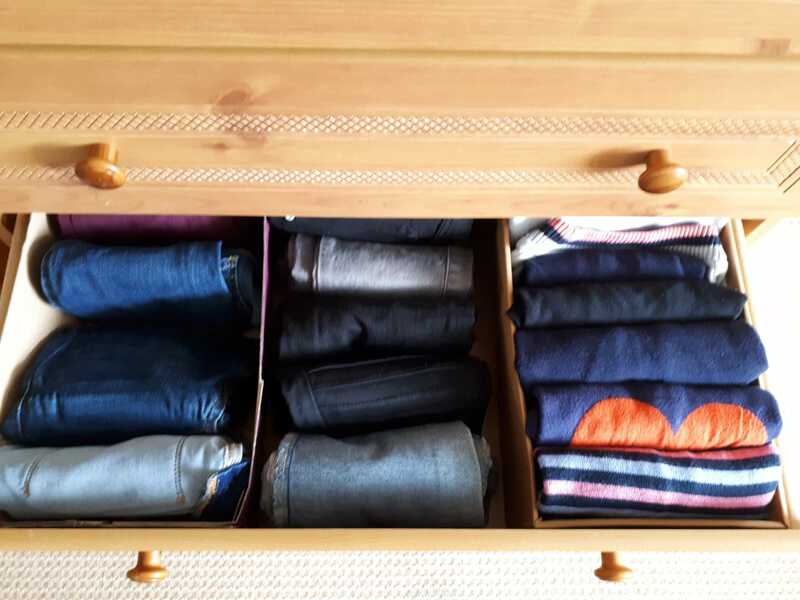 Either way, I am oddly proud of my neat and tidy drawers and it’s definitely easier to find things in my wardrobe. And that in itself has helped reduce my stress levels. 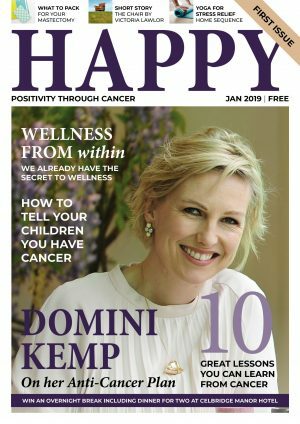 Natasha writes for us regularly here on Happy Magazine. 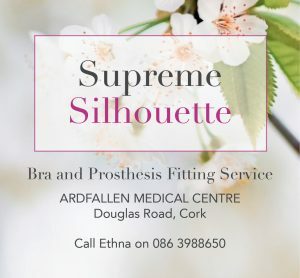 For more about her personal story with breast cancer, check out this post. .Love this piece Natasha. I now have to put it into practise in my own life..
Well done Natasha on your tidying! It’s interesting about the chemo clothes. 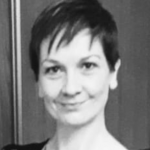 I’ve gotten rid of some lovely tops, jumpers, jackets and a bag simply because I wore them into chemo sessions and couldn’t bear to wear them again because of the nightmare memories they brought back to me. I remember one day at my chemo session one of the nurses admired my cardigan and then said you know you should never wear any clothes that you like into the oncology ward as you’ll only end up hating them! How true that was. Best wishes.